Haglöfs' ergonomic Lupus is a well-balanced and affordable trekking mummy bag, with lightweight Tri-Fusion insulation. Haglöfs have included great technical features to help through your adventure. 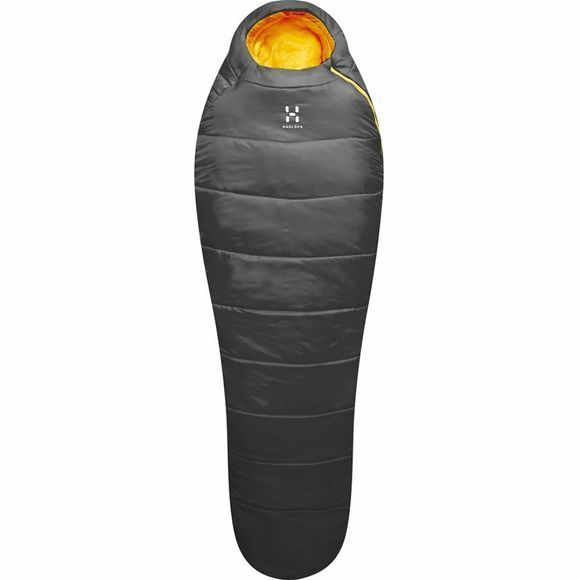 The footbox, hood and collar are ergonemically shaped to hug your body, and the three-quarter-length side zip is anatomically curved for easier access.